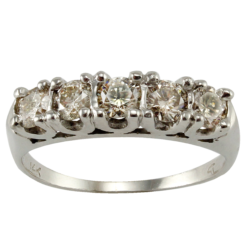 This ring has an incredibly fascinating design composed of Diamonds and two different color Golds. 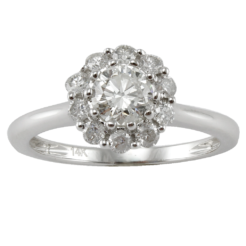 The outer part of the ring contains stunning White Diamonds mixed with 14kt White Gold. The Total Diamond weigh is 0.30 and are fine in Diamond quality. The back part of the head is made from an elegant 14kt Yellow Gold which gives the ring a modest two-tone look.